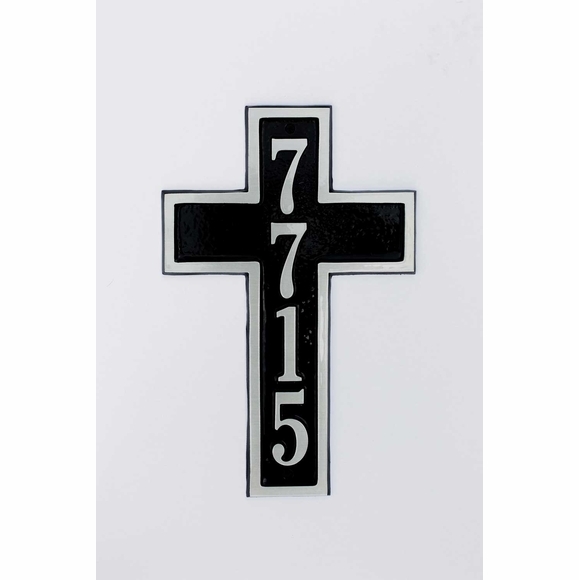 Christian Cross Address Plaque for Homes: Cast Aluminum - - large 10"W x 15.5"H solid cast aluminum address sign holds up to four (4) 3" characters. Made in the USA just for you. Solid cast aluminum construction with aluminum characters and border. Plaque surface comes in 16 different colors. Personalization details: holds an address number with one, two, three, or four digits; vertical orientation. Dimensions: 15.5"H x 10"W; weighs 1.8 pounds.